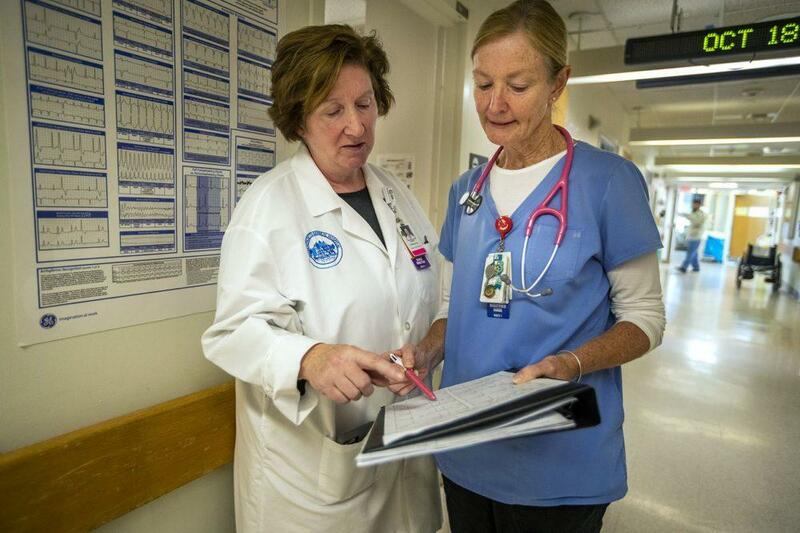 Massachusetts voters have decided the state will not write nurse-to-patient ratios into law. A ballot question that would have set the maximum number of patients assigned to a nurse in hospitals at any given time failed on Tuesday. “Thank you to the voters of Massachusetts for a vote to protect the best health care system in the nation,” said Massachusetts Health and Hospital Association president Steve Walsh, in a victory speech. The defeat ends the most dramatic chapter in 23 years of commissions, legislation and this ballot initiative that sought to define safe nurse staffing limits. But union leaders who spearheaded this ballot question say the fight to establish patient ratios is not over. Kelly-Williams told supporters during a concession speech that the MNA and patients are waiting to see what hospital executives will propose. Walsh says conversations about nurse staffing will continue during contract talks with the union, at the State House and in the media. When asked if he sees a way to move forward on this contentious issue, Walsh mentioned a program the MHHA created this year to address burnout among all caregivers. For many Massachusetts voters, Question 1 was their most difficult decision this election. Alanne Duger, a retired elementary school teacher from West Roxbury, said friends who are union nurses at some of Boston’s larger hospitals urged her to vote for the staffing ratios, but other friends who work in smaller community hospitals or on psychiatry wards lobbied for a “no” vote. “I know what the issue is, but when you have so many nurses who aren’t clear about the stance it makes those of us who aren’t nurses question it as well,” Duger said. Sarah De Ris, who lives in Jamaica Plain, says she wasn’t sure what to do based on reading about the initiative, but decided to vote “yes” on Question 1 based on her conversations with nurses and other acquaintances. “It isn’t a perfect solution but it’s a step in the right direction,” De Ris said. “I fear that big medicine will close down community hospitals throughout the commonwealth, saying ‘Well, we can’t afford to keep these open,’ and that will deprive those people in rural areas of good medical coverage,” he said. The “Yes on 1” campaign held a lead in one mid-September poll, two months after the question was certified for the ballot. But by late October, polling numbers had flipped. “What we know as political scientists is that it’s the groups that spend the most money that usually win. In this case it’s the hospital association of Massachusetts,” said Tufts University political science professor Jeff Berry. The “No on 1” campaign had spent $24.5 million as of Monday, as compared with $11.6 million by the “Yes on 1” organizers. But ads appear not to be the only reason voters shifted to “no.” Voters in one poll said their decision was influenced by conversations with nurses, who were split on the question. The No campaign was also fueled by a state agency report that estimated health costs would rise between $676 and $949 million a year. The Yes campaign was endorsed by Boston Mayor Marty Walsh, U.S. Sens. Elizabeth Warren, Ed Markey and Bernie Sanders, as well as most of the Massachusetts congressional delegation. Dozens of unions backed the measure, although, notably, not 1199SEIU, the largest union of health care workers in the state. Gov. Charlie Baker said he would vote no on the nursing staffing measure, along with four influential business groups and The Boston Globe editorial board. Nurses for and against the ballot question called WBUR to report feeling bullied by the opposition, although we received more complaints about hospital managers harassing nurses. “It’s sad that it’s come to this,” said Debbie Burke, the chief nurse at Massachusetts General Hospital, who had planned to vote no on Question 1. Kelly, a nurse at a hospital south of Boston who planned to vote yes, is unhappy about parts of the campaign as well. Kelly asked that we just use her first name because she fears retaliation from hospital administrators who urged nurses to vote no. “It’s so sad that something that — although it might not be the best way to do it — was created to try to protect nurses and protect patients is so divisive among the people it was meant to protect,” Kelly said. Walsh, of the hospital association, said yes and no campaigns are now gone. California remains the only state with mandatory nurse staffing limits. Copyright 2018 WBUR. To see more, visit WBUR. Get the latest on all the New England states' ballot measures and races for governor, Senate and House. Many reports came in of high voter turnout in Tuesday’s midterm elections, although the weather in New England has made voting a bit less convenient. Gov. 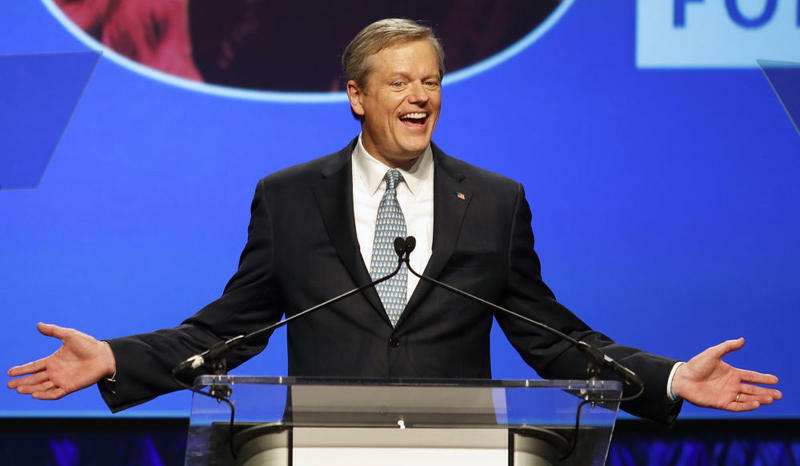 Charlie Baker has won four more years in the Corner Office. The popular Republican incumbent on Tuesday easily fended off a challenge from Democratic gubernatorial nominee Jay Gonzalez. The Associated Press called the race at 8 p.m., just as polls closed. With 88 percent of precincts reporting, Baker was up on Gonzalez, 66.5 percent to 33.5 percent. In his victory speech, an energetic Baker thanked the people of Massachusetts. 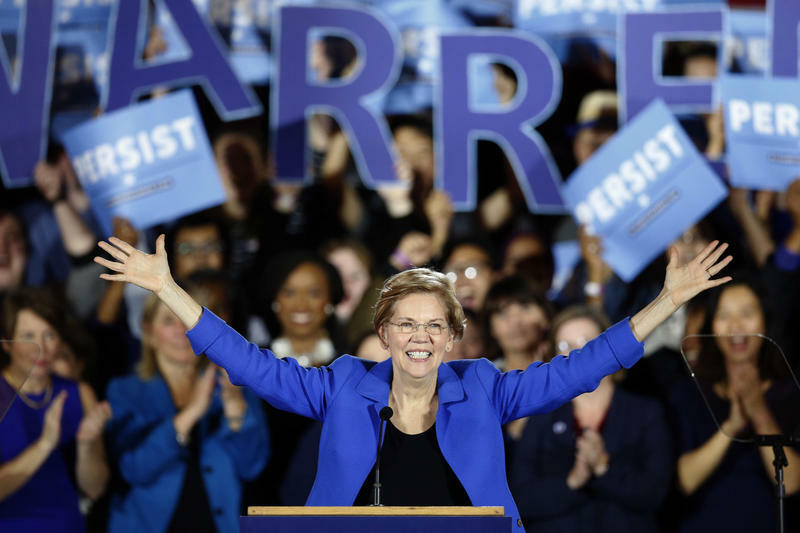 Democrat Elizabeth Warren won re-election to the U.S. Senate, beating back a challenge from Republican state Rep. Geoff Diehl, and also independent candidate Shiva Ayyadurai.